Our partnership with NOVA Chemicals involved the creation of two separate projects. 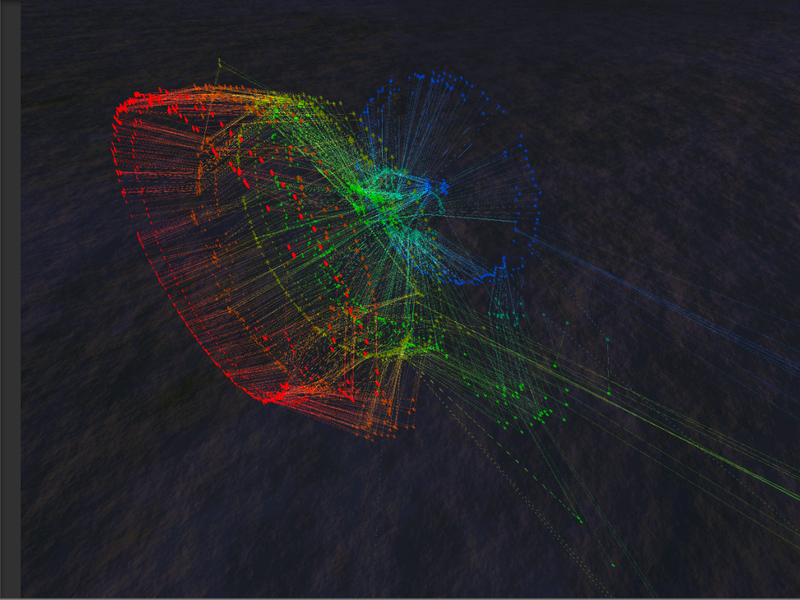 Both projects focused on visualizing data in 3D using Virtual Reality. We used the Oculus Rift as our viewing platform for both projects. The highlight of this project was showcasing intuitive data manipulation in virtual reality which allowed NOVA Chemical scientists and engineers to analyze their data with ease. Using CFD (computational fluid dynamics) data of a furnace, we created a 3D representation using temperature and correlating colours for the Oculus Rift. Each temperature section can be manipulated individually, as a selected group, or with all other temperatures. Parallel coordinates are a common method of visualizing multivariate data. Star glyphs builds on parallel coordinates by creating a 3D representation by creating a 360° slice using the radial distance as the parallel coordinate data of that respective variable under a linear transform. We used data containing 6 variables with data collection happening every minute, and created these 3D star glyphs in virtual reality. Each variable (represented by a different colour) can be manipulated individual, as a selected group, or as a whole. The skeletal outline of the star glyphs can be seen in our photos to show the points used to create the star glyph surfaces.